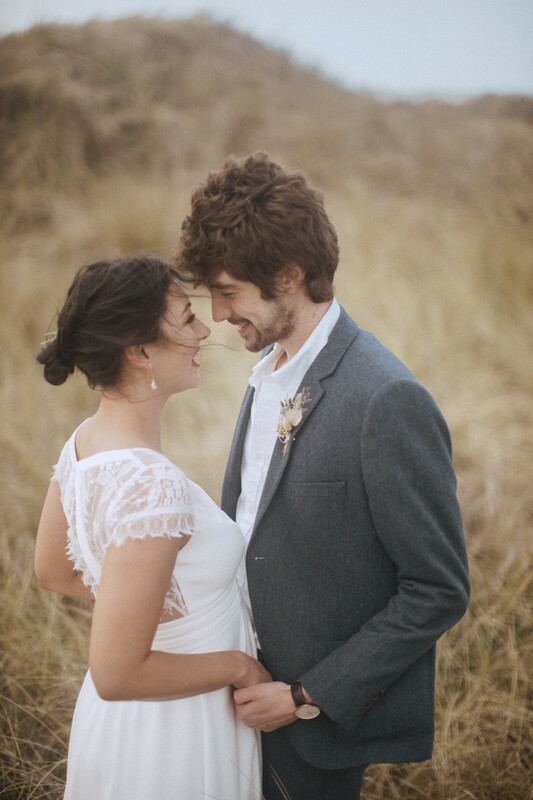 Today I am thrilled to share this breathtaking coastal elopement shoot on the beautiful Welsh coastline. 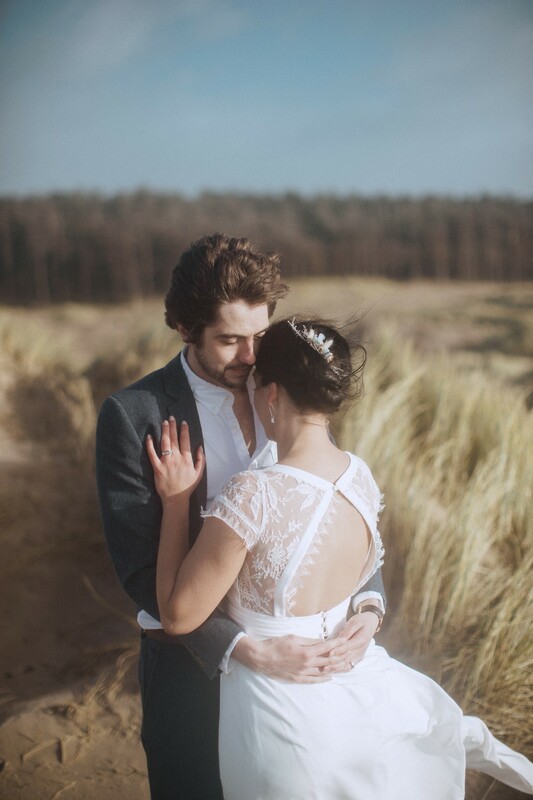 The windlown, wild and free setting of Newborough beach complimented the overall vibe for the shoot which was bohemian, relaxed and romantic. 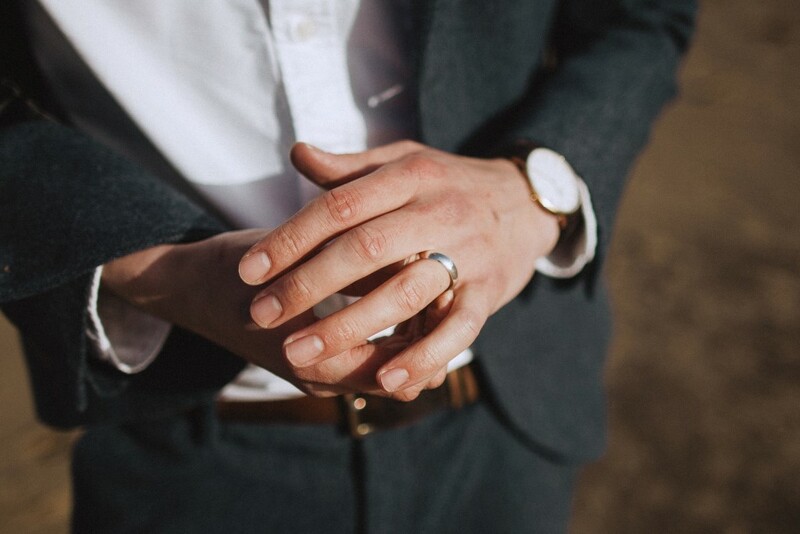 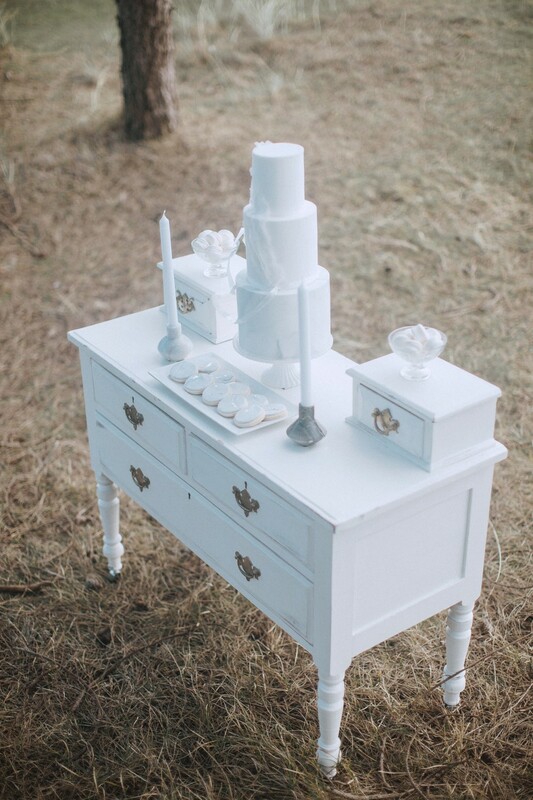 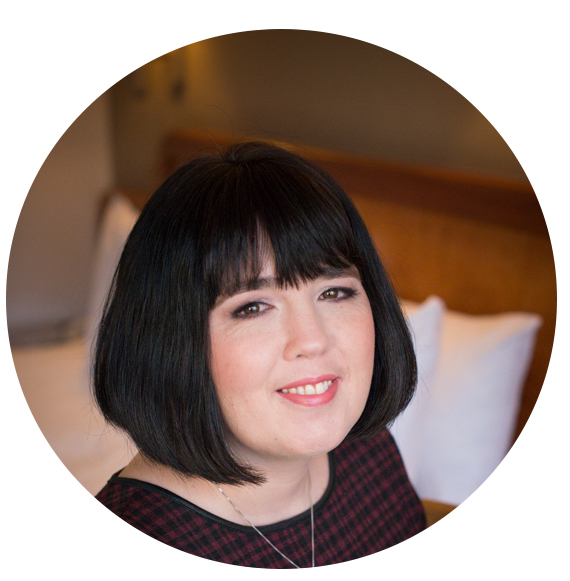 Images were captured by Fox & Bear Photography. 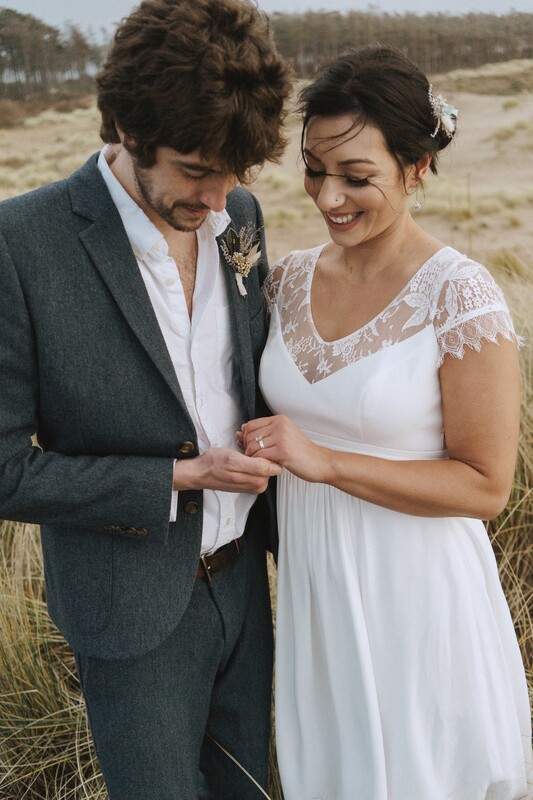 We are so lucky in North Wales to be surrounded by stunning scenery, sandwiched between the mountains and miles of beaches. 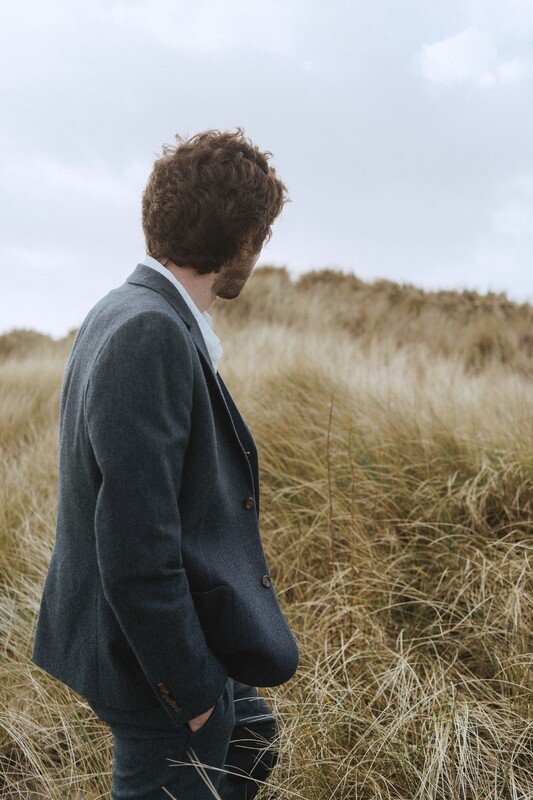 North Wales has so much potential, we knew we wanted to work in this landscape and show it off. 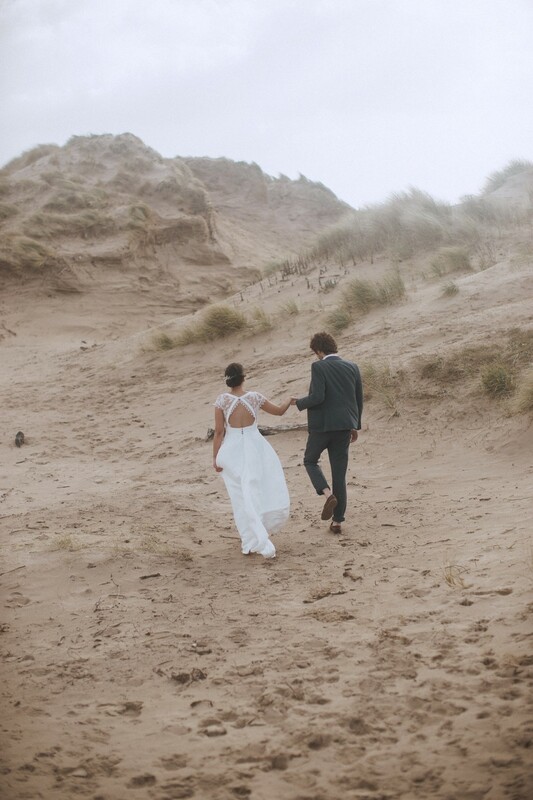 Newborough Beach was just the best choice to show off the landscape. 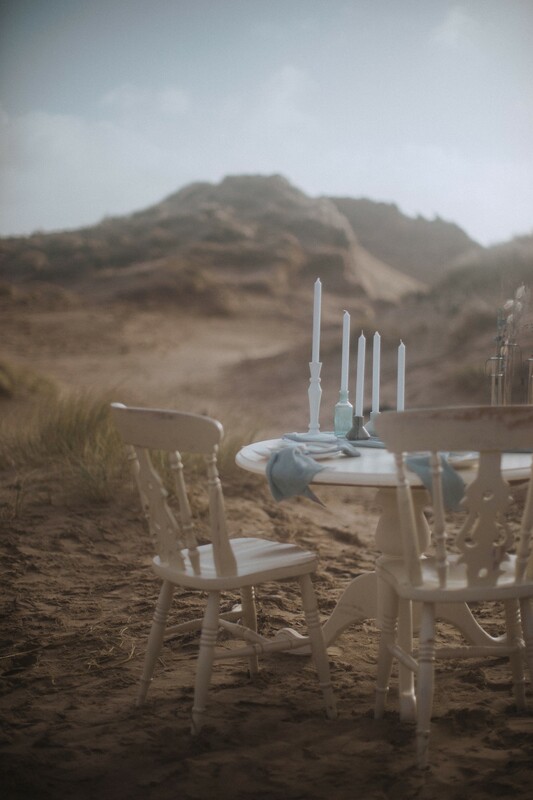 It has the perfect mix of dunes, forests and stormy sea. 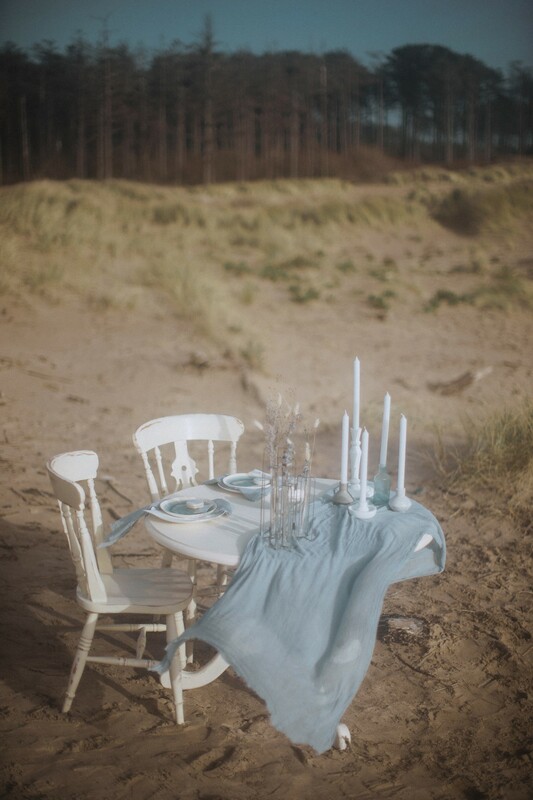 Shooting in the Winter was also a must for us. 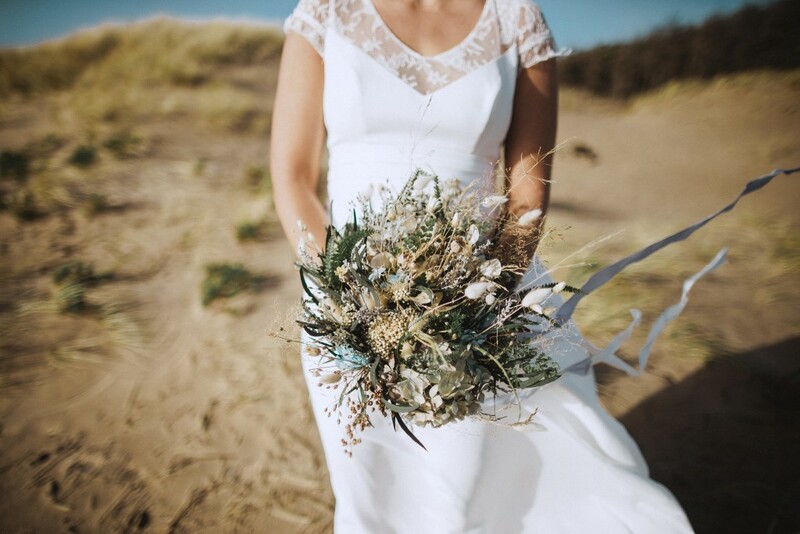 We just love the contrast of a beach wedding (mainly associated with the summer) with the harsh emptiness you can get when the winter rolls in. 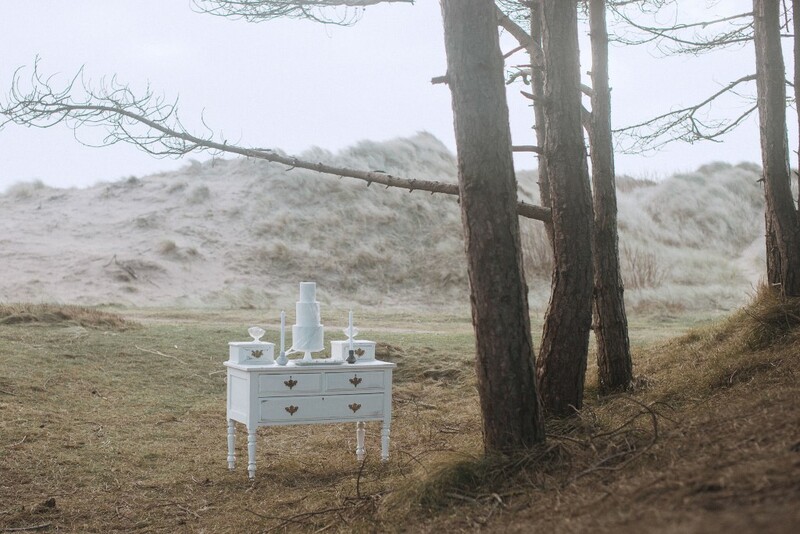 On the day of the shoot we were battered by the Beast from the East but the whole team did an amazing job at in crazy conditions and we all came together to produce some amazing results. 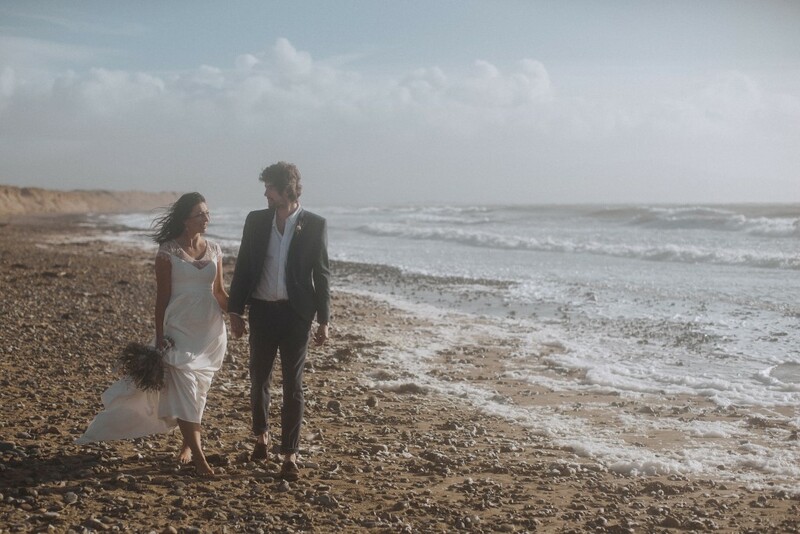 When Dewi and Vicky from Fox and Bear first approached me about collaborating on an elopement inspiration shoot I was really excited to hear what location they had in mind. 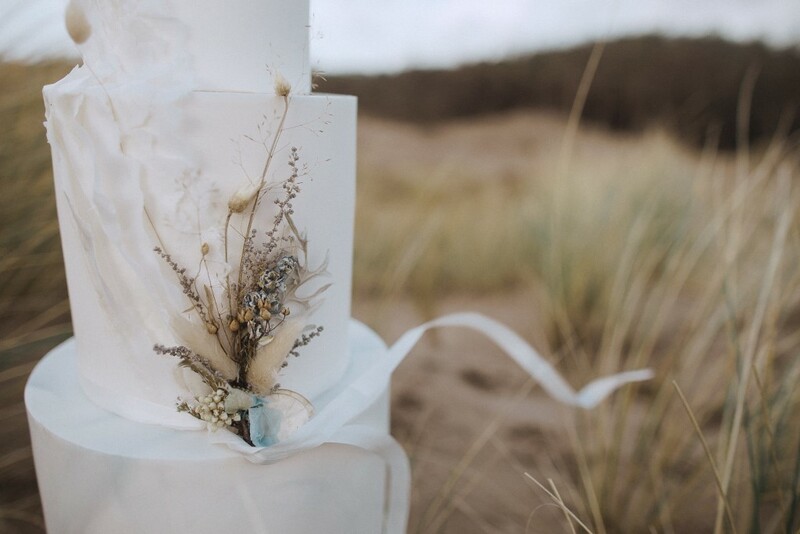 We are surrounded by beautiful landscapes here in North Wales and so were a little spoilt for choice! 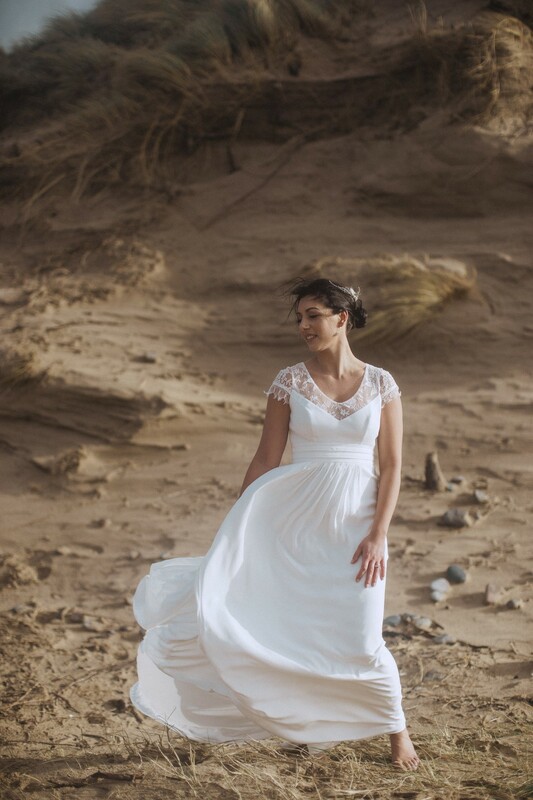 We were all of the same mindset that the shoot should be carefree and natural and so we settled on Newborough Beach, Anglesey. 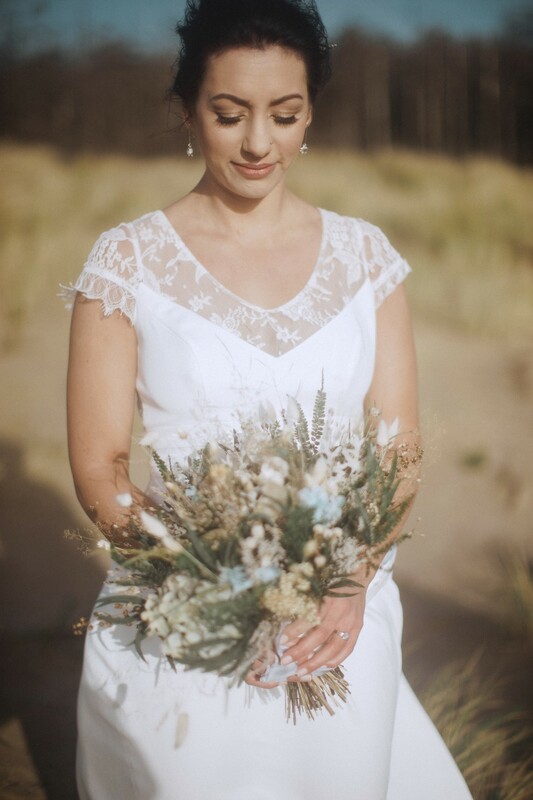 The beach has miles of sandy dunes and wild grass and we wanted to shoot right in the midst of it. 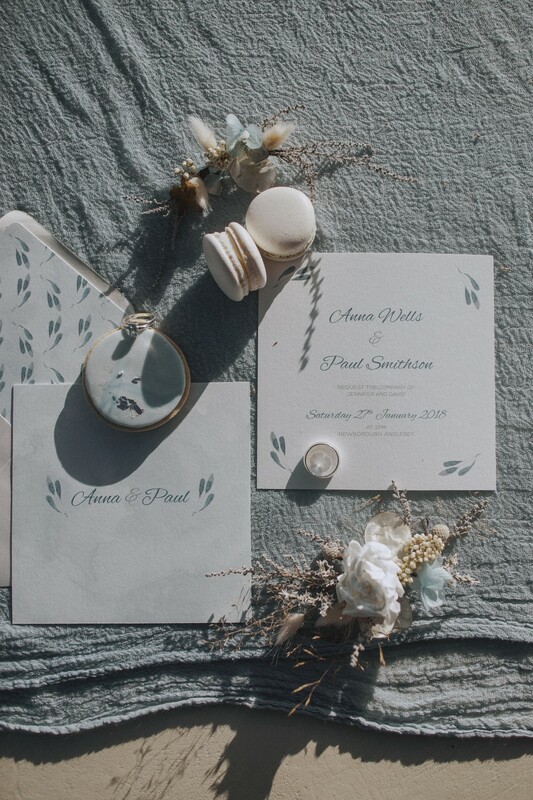 My inspiration for the styling came from this; it is soft and airy, and its fresh colour palette is inspired by the surroundings. 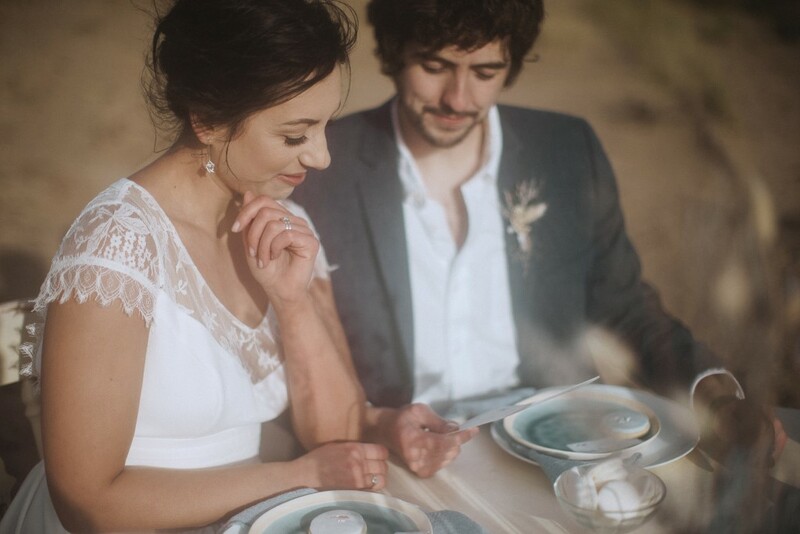 I chose a simple sweetheart table for two, styled with a loosely laid Kate Cullen cotton runner and napkins and delicate dried flowers from Rosehip and Wren in a wild, textured style which were all foraged from the local area. 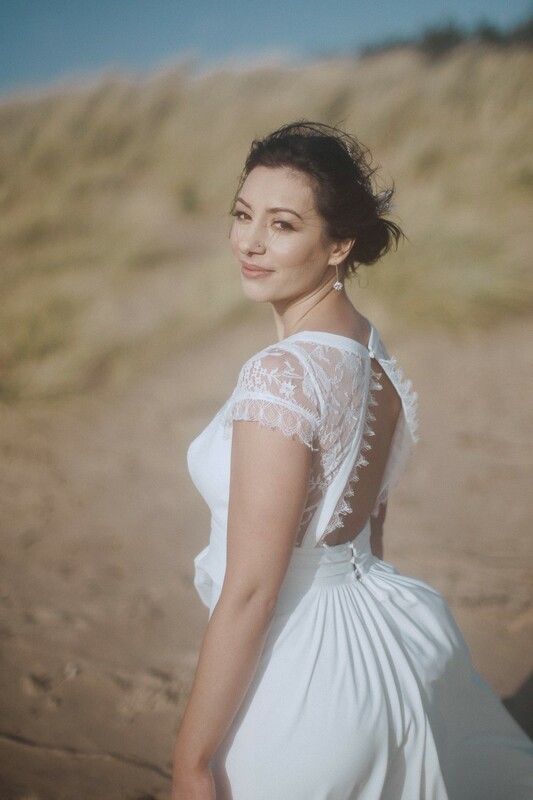 I wanted to showcase the free-spirited vibe of the beach by not using structured or heavy elements, and Dewi managed to photograph that beautifully. 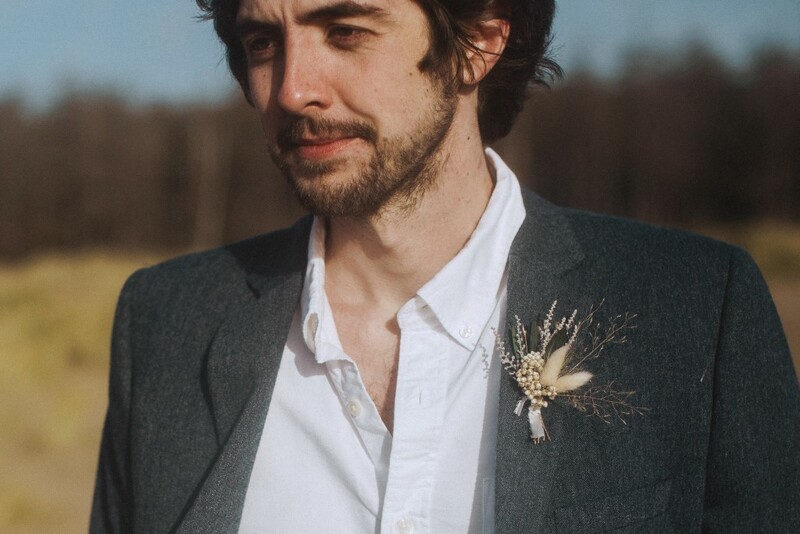 The runner blowing gently in the wind is just perfect. 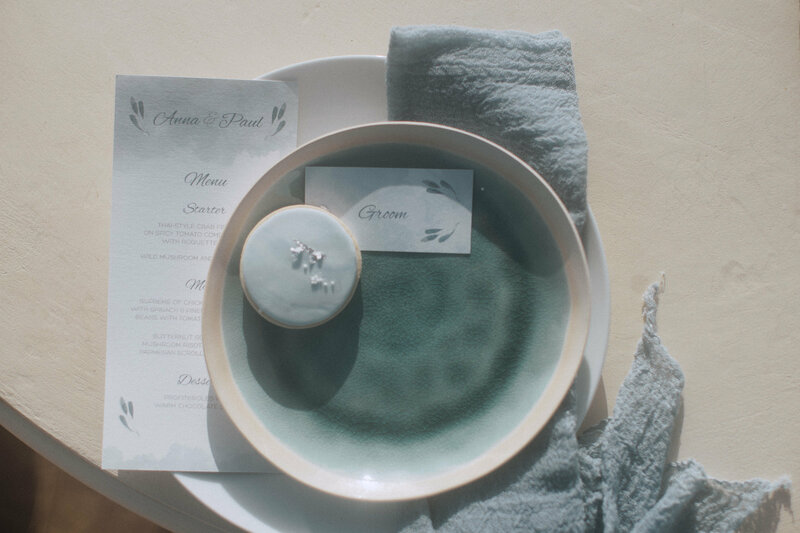 The tablescape was completed with stationery by Loveli Design and beautiful cookies by Hayley’s Piped Dreams, which featured watercolour icing and delicate gold foil. 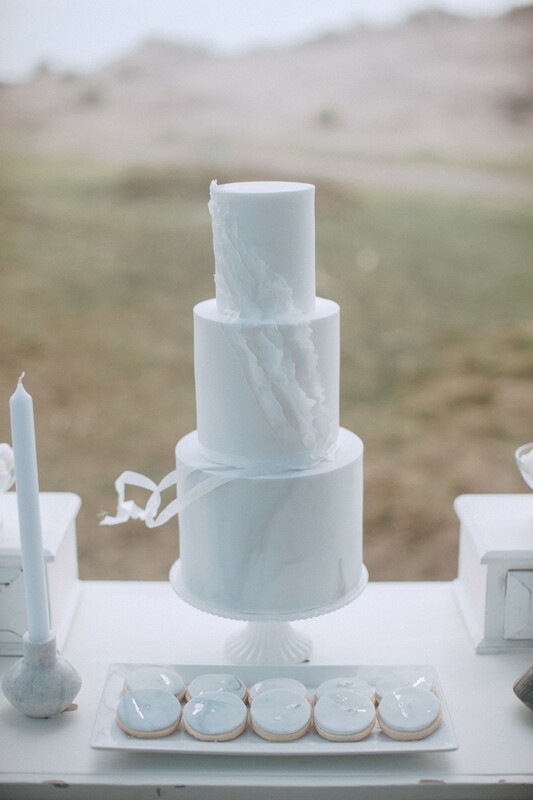 Hayley also created a beautiful 3 tier cake in crisp white and grey marble, with ruffled icing inspired by the waves. 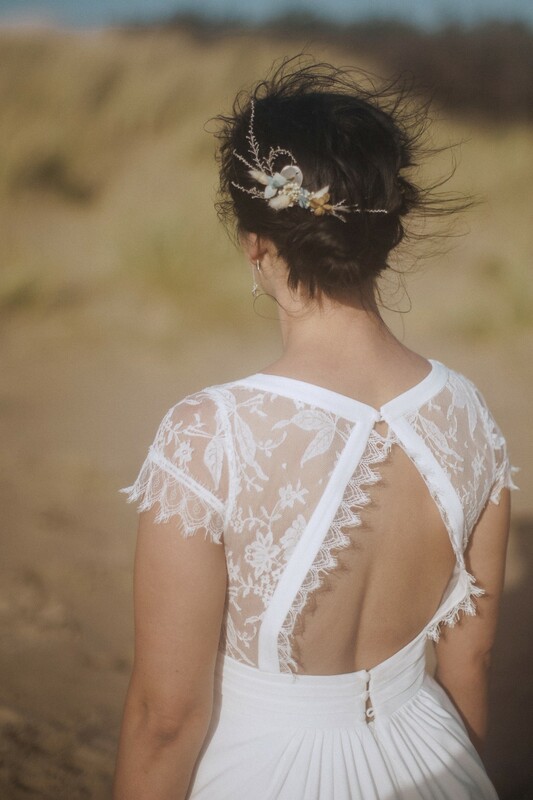 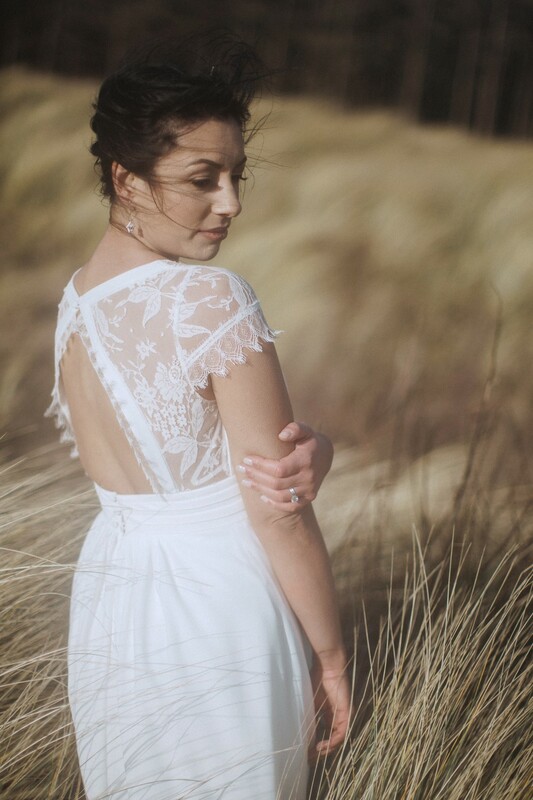 The brides Rembo gown from The Silk Loft was something that worked and fitted in with the natural surroundings and was not too structured, almost wild in fitting with the location and with all the styling. 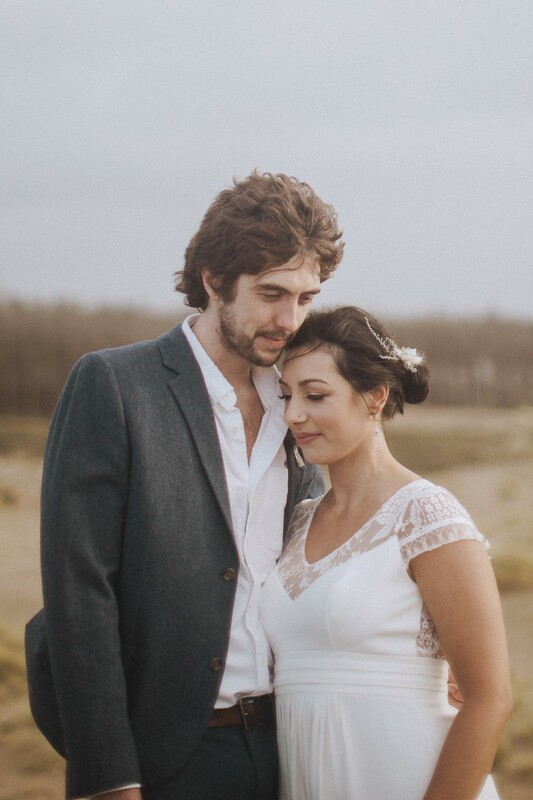 This together with the dried flower bouquet, again by Rosehip and Wren, natural make-up and loosely tied hair by Alexandra Ellen Jones, along with the grooms laid back attire perfectly suited the wild look of the shoot, which encapsulates simplicity and adds to the scenery of the coastline rather than distract against it.